What Happens If You Don’t Pay Or Delay HVUT? The IRS, FHWA, State and local agents are working together to identify and address HVUT evasions. Meanwhile, we should know why failure to pay HVUT is costly and increases penalties. 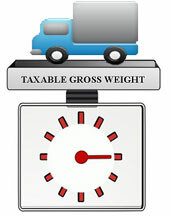 When one fails to pay his HVUT by the end of August, the penalty he has to face is 4.5% of the total heavy vehicle use tax which is due, assessed on a monthly basis up to five months. He/she may also face an additional monthly penalty equal to 0.5% of total tax due. Apart from this, additional interest charges may apply as well. Based on these rates, a form 2290 returnee who had to actually pay $550 will may have to pay more than $700 by the end of the 5 month period in case of any HVUT payment delay. Penalties for HVUT non-compliance are very dear. In addition to federal monetary penalties, states also suspend the registrations of vehicles for which proof of HVUT payments has not been provided. It can become even worse with fines and imprisonment in cases of guilt. In November 2001, an owner of a small trucking company in Illinois was caught under similar circumstances. He surrendered to the court by saying he evaded HVUT by periodically re-titling his heavy vehicles. By continually changing the ownership name, he was able to avoid providing proof that he had paid the HVUT for 11 years. On account of being found guilty of not filing his Form 2290, the owner of the trucking company was sentenced to serve four months in prison and an additional four months of electronically monitored home confinement, apart from paying an imposed fine of $2000.